At Sun 'n Fun, Piper Aircraft announced the Piper Pilot 100 and 100i aircraft models. 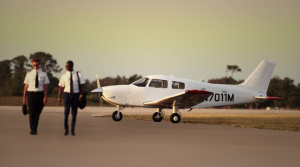 They are designed as lower-cost options for flight schools and university aviation programs. (photo courtesy: Piper Aircraft). It was fitting that the first thing that happened at Sun ‘n Fun, opening day, 9 a.m., was an announcement from Piper Aircraft that it had done something at once sensible and spectacular. They introduced a trainer that costs less, a lot less. Piper president Simon Caldecott was straight up about the impetus for the introduction. Some schools just couldn’t afford the company’s standard trainer, the Archer, which is priced at around $360,000, a figure that not long ago prompted spontaneous expressions of disbelief but today mostly passes for, again, standard trainer pricing. All Caldecott wanted to do was whack a hundred grand off that price. Okay. Now for context, the Archer is a pretty conventional airplane by 2019 standards, and Piper’s been building planes in Vero Beach for around 60 years now and they’re really good at it. I’ve toured the factory on a couple of occasions. It’s an impressive operation. But while Piper builds the airframes, there are a lot of added components that Piper doesn’t build and that, well, no airplane maker does. Not Textron, not Mooney, not Boeing, not Airbus. They use vendors to supply those components, which include things most pilots want on their planes, like tires and wheels and brakes and radios and propellers and wiring….stuff we’ve all grown accustomed to. I hate landing without tires! A few of those components, the avionics, engine and propeller, add the lion’s share of the cost to the manufacture of a light plane. Nobody gets charged retail on the business side of things, and nobody shares what they really pay for components, but it’s a fair guess that a third to half of the cost of a small plane are things the manufacturer has to buy from someone else. And there’s no way of getting those costs down. Or is there? It’s got an advanced integrated suite of computerized, networked navigation, flight control, communications, dependent surveillance, traffic avoidance, envelope protection, systems monitoring and control and in-flight communications. Yes, that’s what the Garmin G1000 NXi does for you, and I’m probably forgetting a few things. G1000 NXi is the top avionics solution for light planes, by a lot, too, but Garmin recently introduced a budget alternative, the G3X Touch Certified, which is a direct development of its G3X Touch for Experimentals. That system cost Garmin less to develop and it costs less to build than its G1000 NXi conventionally certificated system, and the same is true for the company’s new autopilot the GFC 500, and its two new WAAS multifunction navigators, as well. What Piper did was partner with Garmin to put this new, lower cost avionics system in its new planes. It also worked with Continental, in an even bigger switch by some standards, to put the Continental IO-370 Prime engine in the plane, which is essentially a PA-28 Cherokee. The words “Cherokee” and “Lycoming” have been synonymous for the past 60 years now, so Piper’s move to Lycoming’s archrival is an eye opener. As you might know, Lycoming is a Textron corporation, and Textron owns Cessna, which builds the 172 Skyhawk, the direct competitor to the Piper trainer. 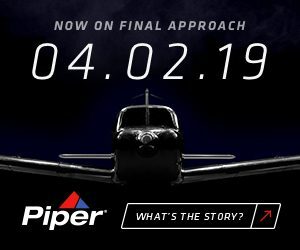 How that calculus worked is unknown, but clearly Piper is getting a great deal on an engine that is directly comparable to the engine in the Archer, the Lycoming O-360, also a four-cylinder, fuel-injected, opposed engine. 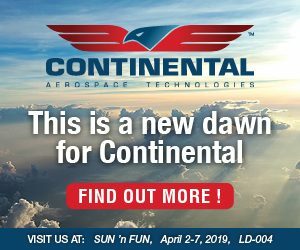 Where Continental has been innovating for the past many years is in its manufacturing processes, and the new factory it’s building in its historic home of Mobile, Alabama, is likely going to give it additional resources toward innovating even more. You can be sure of a couple of things. Piper won’t be alone in getting cost out of its entry-level products. And Piper’s new trainers are only the point of the arrow. Caldecott knows that. He said at the press event, though I haven’t seen anyone else comment on it, that Piper would be looking into new ways to get cost out of the manufacturing process, including the use of 3D printed parts—the process is known as “additive manufacturing” for its airplanes. The new Part 23 would allow that. All we need are industry-generated standards on how to do that and how to make sure they’re as good as the old parts. 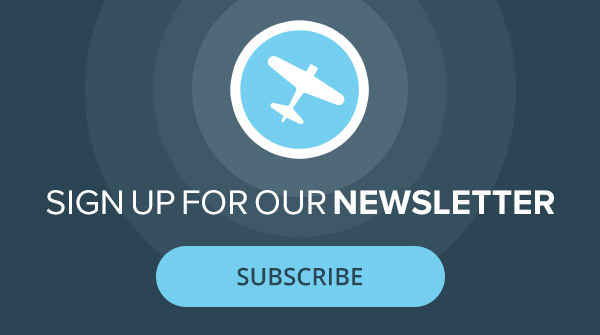 Those are two big jobs, but jobs that have been done before with the creation of Light Sport Aircraft, the category that has opened the door to a whole new word of certification and manufacturing, the fruits of which we are finally starting to see. 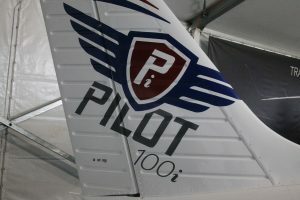 The public got a look at the Piper Pilot 100i for the first time on Tuesday. (photo by: Jeremy King).